Mobile phones are something which everyone, including children, use on a daily basis and throughout the day. We give a lot of importance to our postures while standing, sitting, using the computer or laptop etc but we never give a thought to how we should use our mobile phones. 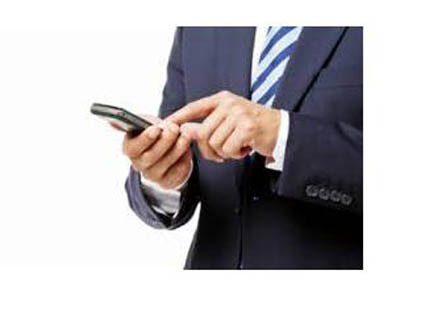 The wrong ergonomics while using cellphones can lead to musculoskeletal stress. • Keep your back straight while texting. Hold the phone in front of your eyes to avoid bending your neck and slouching. • While texting, avoid using your thumb for typing. Hold the phone in one hand and use the other hand's index finger for typing. • Keep your wrists relaxed and straight while using the phone. Avoid bending it in either of the 2 directions. • Use your finger pads and not the nails for typing as this keeps the fingers in the right position. • Avoid using your phones for a long period of time. • Fist your palm and then stretch your fingers regularly while using cellphones. • Opt for a QWERTY keypad phone as this minimizes the number of times your press the keys. • While talking over the phone, always hold the phone in your hand. Do not use your shoulders for supporting the phone. • Use earphones/hands free if you have to talk over the phone for a long time. • Avoid using your phone for e-mails, reading etc and opt for a laptop instead. • Do regular neck and shoulder stretches if your work involves constant use of phones. Keep these simple things in mind and make the changes necessary to avoid musculoskeletal stress . It can go a long way in keeping you fit!